2. Under the “Advanced settings” menu click on “LAN” (3). 3. 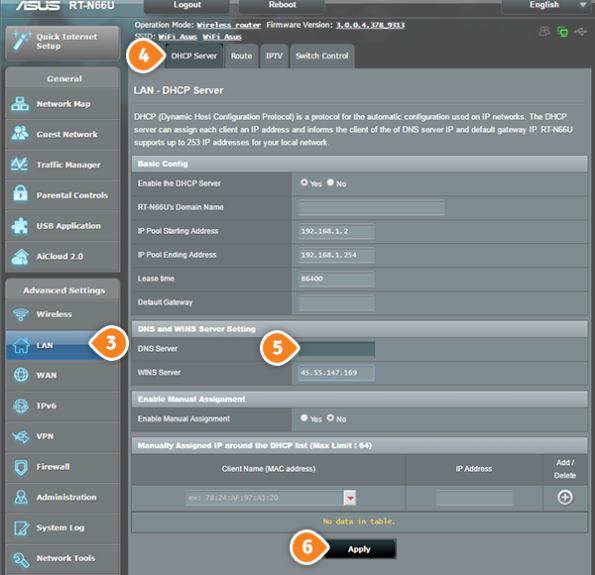 Choose the “DHCP Server” tab (4). 6. Click on “Reboot” and you’re done!